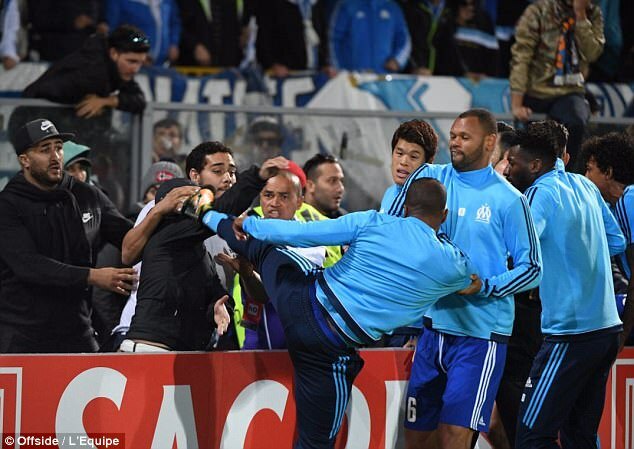 Evra kicks fan during warm up and gets sent off…. Marseille player Patrice Evra was sent off after kicking one of his team’s fans in the head before the Europa League defeat at Vitoria Guimaraes. Footage shows the 36-year-old former Manchester United defender aiming an acrobatic kick at a supporter at the side of the pitch during the warm-up. Evra, who was named as a substitute, was dismissed before kick-off, and Marseille started with 11 players. UEFA’s disciplinary body is likely to rule on any further action on Friday. 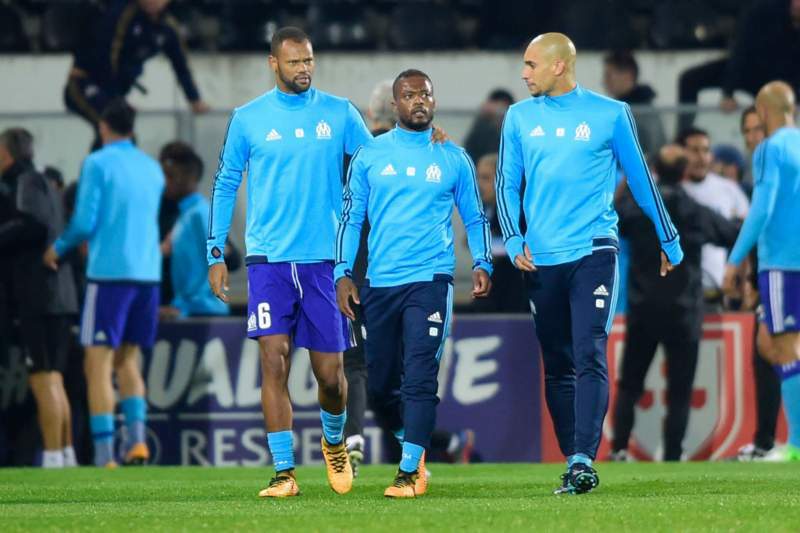 French newspaper L’Equipe reported Marseille supporters had been jeering Evra for about half an hour while the players prepared for the game, which the French side lost 1-0. Evra had gone over to the fans to talk to them, but the situation escalated. ← When Neymar went visiting Messi and Suarez….